So friends, I'm moving to Atlanta. Depending on how long you've been following this blog, you've seen me studying abroad in Rome, going to school in Dayton, Ohio, interning in California (without a kitchen), back in Ohio finishing school, working in Chicago and then moving out to California a year ago. I've been busy friends. This will be my fourth state in four years and my second cross-country move in a year. It's a lot. Last year I moved out here after I accepted an awesome job and was super excited to be closer to Matt. A lot happened over the past year — we grew a ton, got engaged and finally decided that we're through with long distance. Matt originally started a job hunt in the Bay area to be closer to me and got accepted into an awesome sales program that wants him to move across the country. It wasn't an easy decision — there's so much more we want to do in California and I don't want to leave my job, but after looking it over, it really will be the best move for us. We'll finally be together, in a much cheaper area and much closer to family and friends. One major thing we nailed down this year is our priorities as a couple and a future family. Family and friends is a huge one. After getting over the initial shock, I am excited. I'm incredibly bummed to leave this place, but I know I'll be back. I talked to my company and I will be staying on remotely and hopefully making it back once a quarter for planning so I'm not saying goodbye to CA forever. When I moved out here last year, we didn't know how long it would be, but we guessed it wouldn't be forever. 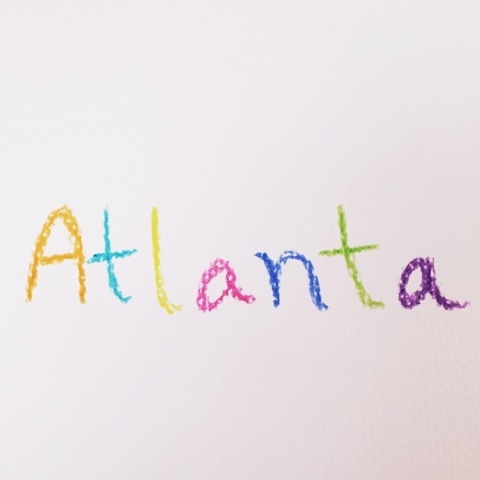 We don't know if Atlanta will be forever, but we're excited to put down roots and build a community. I did a good job of that out here on my own, but I'm excited to explore and meet new people with Matt. Things will be pretty quiet here the next few weeks. I'll post updates when I can!